This stunning heavy-duty rechargeable LED9421R X21R.2 torch delivers sensational white light that simply takes your breath away. 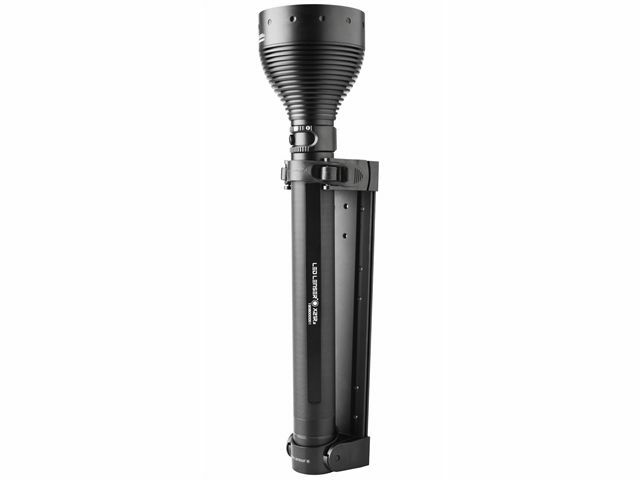 Expertly German engineered by LED Lenser, it has seven individual reflector lenses producing a jaw-dropping maximum 3200 Lumens capable of lighting an object up to 700 metres away. The torches flagship technical specification includes X-Lens Technology, the world renowned patented Advanced Focus System optics and Smart Light Technology Pro; all of which make for a perfect lighting experience for any user. 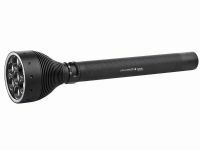 A mighty performer in every sense, the X21R is often used for long-range search and rescue operations as well as outdoor and wildlife adventures as it features every conceivable benefit the most dedicated professional or enthusiast would need. An intuitive Fast Action Switch towards the front of the high-strength aluminium barrel opens up a portfolio of numerous individual user options and controls. These include two Energy modes (Constant Current, Energy Saving), four pre-set Light Programmes (Low, Action, Signal, Defence) utilising up to eight Light Options (Low Power, Power, Boost, Dim, Position, SOS, Blink, Defence Strobe). Other clever features include: an Emergency Light that switches itself on automatically if the power supply is interrupted or fails; a 360° ten-stage dual Power Indicator enabling the user to see overall battery charge or life remaining no matter what angle the torch is held or supported; a Safety Ytrion Battery – as used in electric vehicles - that charges faster and more efficiently than conventional rechargeable batteries. 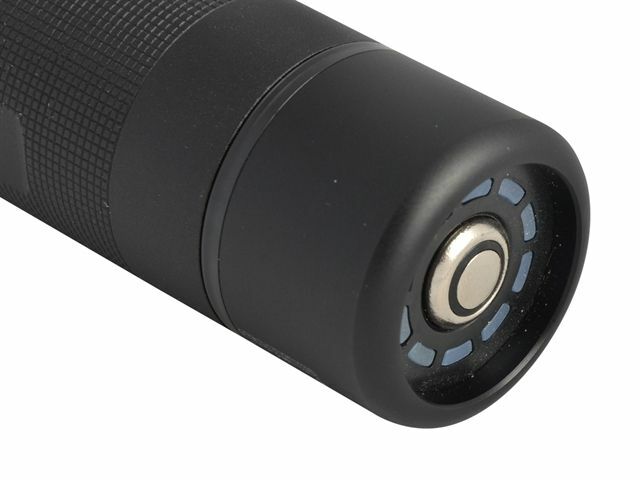 Not that you will see much of the batteries anyway - with LED Lenser’s effortless magnetic Floating Charge System Pro you just set the entire torch down into the charger. There is no need to take the batteries out at all. A charge display light changes from red to green when charging is completed. The X21R.2 is a monster of a torch but its recharge capability makes it surprisingly gentle on the environment and economical on the user budget. It is supplied with a hard carrying case containing integrated battery, magnetic charger, vehicle mount, shoulder strap and mains charging cable. Seven LED rechargeable torch offering gigantic levels of illuminations whilst being gentle on the environment and economical to use. Energy efficient CREE ® Xtreme+ LED Light Chips. Advanced Focus System™ Optics. Patented reflector and lens combination for intense spot (distance) or flawless flood (near) illumination. 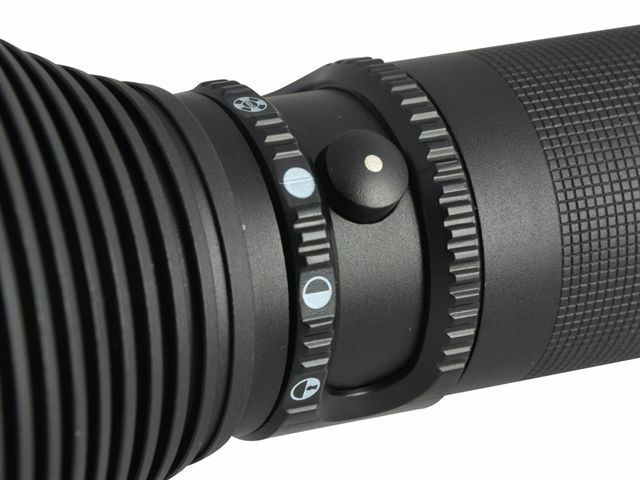 X-Lens Technology™. Multiple lenses perfectly calibrated to produce an awesome single beam. Smart Light Technology™. 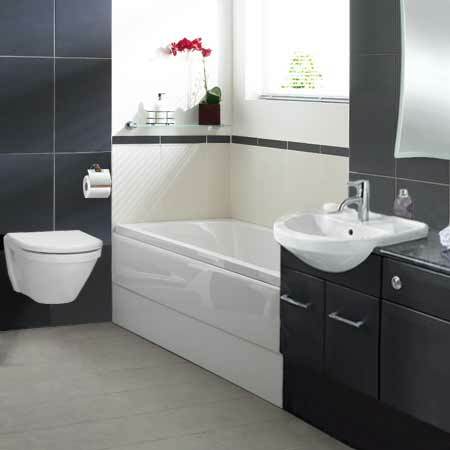 Micro-chip controlled multi-option technology, with two energy usage modes (Constant Current, Energy Saving). Four pre-set light programs (Low, Action, Signal, Defence) utilising eight light options (Low Power, Power, Boost, Dim, Position, SOS, Blink, Defence Strobe). Speed Focus™. Instant, smooth, stage-less beam selection. Fast Action Dynamic Switch™. Instant program selector/reactive switch combination. Large beam width due to larger head size – great for illuminating large areas. Robust, protective aircraft-grade aluminium housing. 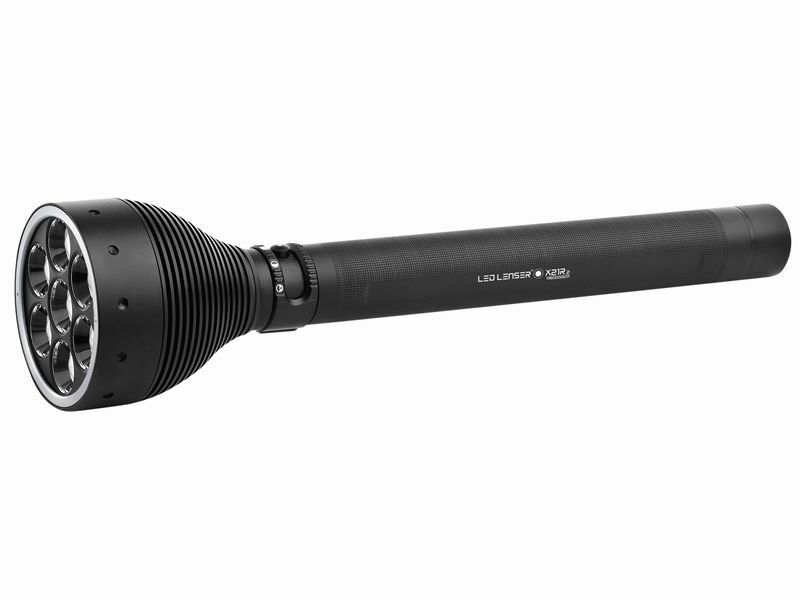 Size: 407 x 95mm Ø.
Beam Distance: up to 700m. Supplied with: Hard Case, Shoulder-strap, Magnetic Contact Charger, Mount, Charging Cable and integrated Yitron Safety Battery.